When I studied for my MFA at Vermont College of Fine Arts, I had the privilege of working with Jane Kurtz, who helped me to shape Rogue into a published novel and who, more importantly, served as a model for what a great teacher should be. I could talk at length about the lessons I learned from her, but I’d rather let her speak for herself. 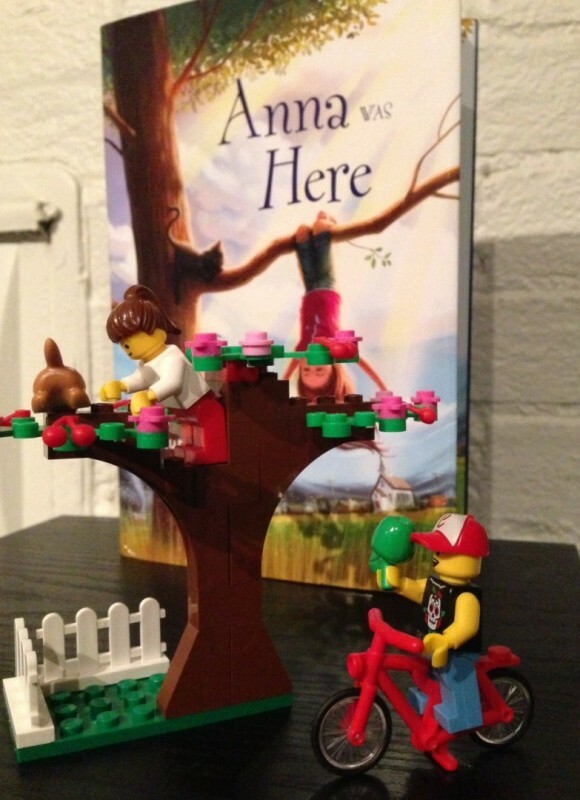 She is currently on a blog tour for her new novel Anna Was Here, for which I used my LEGO people to illustrate one of the early scenes. 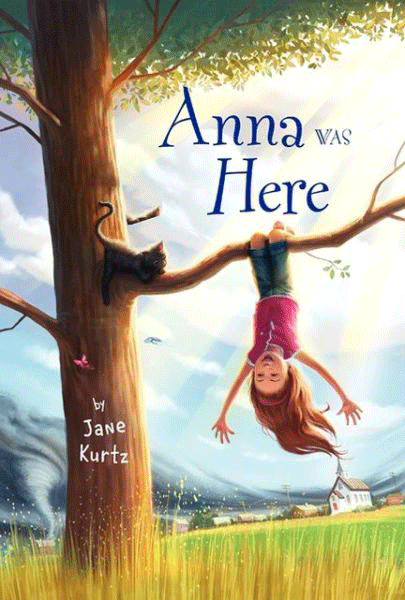 For more information about Anna Was Here, the blog tour, and her other stops, visit www.janekurtz.com. During my childhood in a remote area of Ethiopia, my sisters and I spent days entranced by imaginary games ad stories. In one of them, my older sister got to be a nurse and feed the rest of us bitter, unripe ground cherries as pills to cure our various diseases. Sometimes I was a storekeeper. That was a stretch, though, because the magical spot on the earth where we were growing up had zero stores. Sometimes I was a teacher. “You can’t switch,” my older sister said. But I was born stubborn. In those days, my own mom (who hadn’t finished college yet) was teaching me how to read. I also saw boys and young men (and the occasional girl) gathering around the Ethiopian flag every morning to sing the Ethiopian national anthem and go inside the adobe-mud-grass-roof school building right outside the fence beyond our house. When my sisters and I ran by the school, I heard the chanting of Amharic. It sounded like a song…but was, in fact, a very different way of learning to read. So I had some models for teaching. I have one photograph of me as an eleven-year-old proudly teaching my little siblings to say the Pledge of Allegiance to the American flag that had showed up in the luggage of a family who was in Ethiopia to work on helping improve water quality and agricultural practices. Anna in my new novel Anna Was Here does not want to go to school in Kansas in the small community where her parents have suddenly plopped her down. She doesn’t want people staring at her. She doesn’t like the sensation that everyone else’s roots go so much deeper in this place than hers do and that old family fights might swim up suddenly and catch her unprepared. Those were my feelings when I had to go to school in the U.S. one year when I was seven (in Boise, Idaho) and one year when I was thirteen (in Pasadena, California). When I was nine, I went off to boarding school in Addis Ababa, the place where I discovered a library for the first time. Maybe it’s not surprising that figuring out how to teach myself and other people how to capture and share the stories and details of our lives became one of my lifelong passions. I’ve taught writing at the elementary, high school, college and now graduate level. When I graduated from college, I had a dream of pursuing an MFA degree, but my life’s path wandered in other directions. Teaching in the MFA program in children’s and YA literature out of Vermont College, though, I feel as if I have that dream finally. I’m both teacher and student. As a reader, my highest pleasures are dazzling, unexpected details of voice and character and setting. Those are the things that give me pleasure as a writer, too. As a reader, I resist tension. So it’s no wonder as a writer I struggle with how to craft a decent plot. What did I choose to study and lecture on for several years? What we teach, we also learn. What baffles us is part of our material. I worked on Anna Was Here for four years, and I can almost point to the spots that came to life as I was participating in Vermont residencies, learning from my fellow faculty members and from my students. Probably the most surprising place my teaching has led is back to Ethiopia. After I had been gone for 20 years, I was invited to speak and teach classes at several international schools in Addis Ababa. Returning to Ethiopia led to my helping organize an NGO to experiment with literacy issues in Ethiopia (www.ethiopiareads.org) and fifteen years later, I still volunteer with that project. My interpretation of a scene in Anna Was Here, with LEGO minifigures. It pays to be born stubborn. What kind of power is unleashed when people are encouraged to innovate rather than copy? And how does innovation and risk-taking get taught, anyway? Those are my life questions, lived out every day, endlessly fascinating. Thanks for this introduction to Jane. I’m looking forward to reading Anna Was Here! It’s definitely worth the read! Thank you for commenting, Marge. Love this guest post! I loved Anna Was Here. Jane, I always enjoy your stories of your family and Ethiopia. And Lyn, great scene! Just perfect! Thank you for commenting, Linda! That scene was a natural for a LEGO photo too. How great to have the two of you here together. Thanks for this fabulous interview–and the Lego illustration! Thank you for your comment, Sandra! The Bricksters are ready and eager for your debut novel. A wonderful interview of a stellar teacher and extraordinary writer! Thank you, Pamela! I learned so much from her when I worked on both ROGUE and the first chapters of my companion to GRINGOLANDIA.